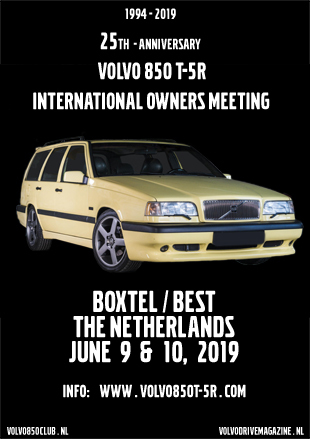 Wheeler Dealers Season 16 Episode 03 A black T-5R estate features in this episode of Wheeler Dealers. 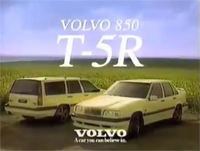 During development of the T-5R Volvo had recorded a movie with two yellow T-5R’s in the yellow fields of Skåne. Since the interior had not it’s definate T-5R looks the windows were tinted. Also headlight wipers were not there yet.